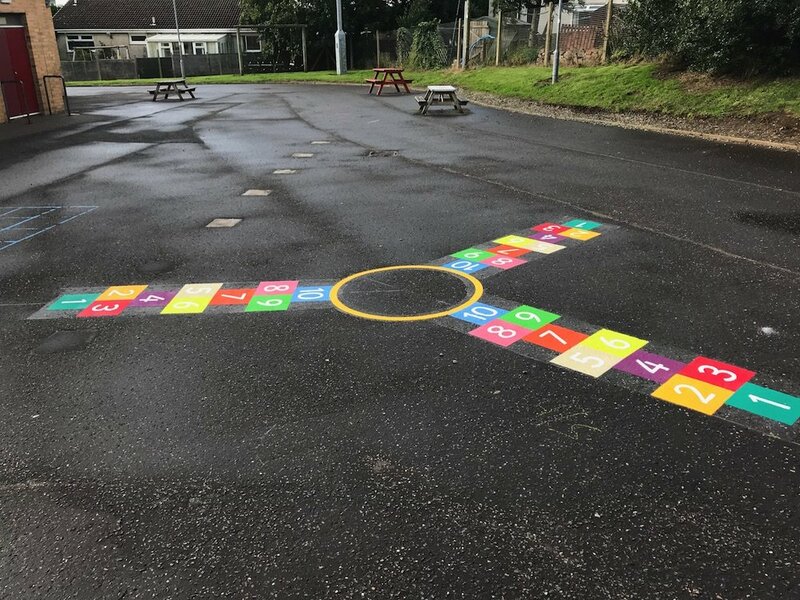 Hopscotch is a traditional playground game, it can be played with a number of children or alone, ideal for ks1 upwards. 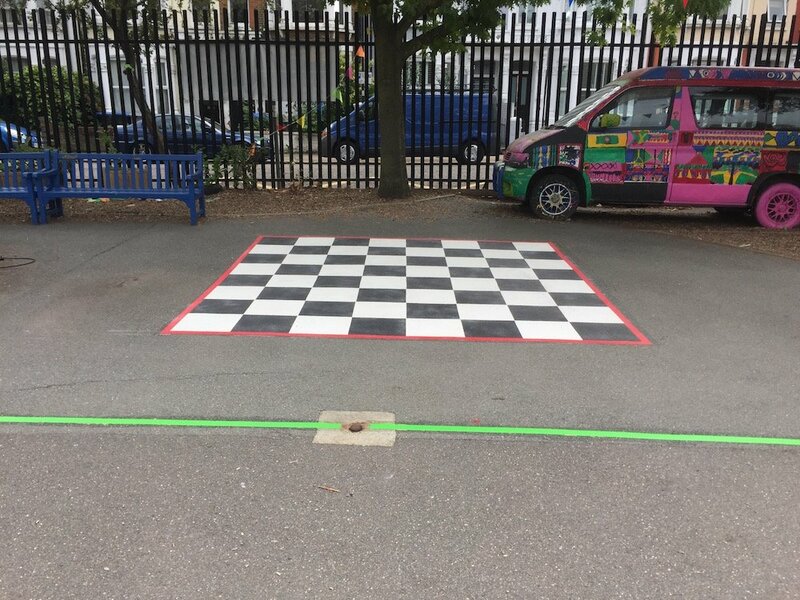 The child throws a marker which is usually a stone or beanbag and whichever square it lands on the child has to navigate the sequence without stepping/ hopping on the marked square. This can only be done by hopping on one leg if it is a single square, or two if its a double square. Once they have hopped to the end of the numbers, they turn around and continue hopping back and pick up the marker on their way. 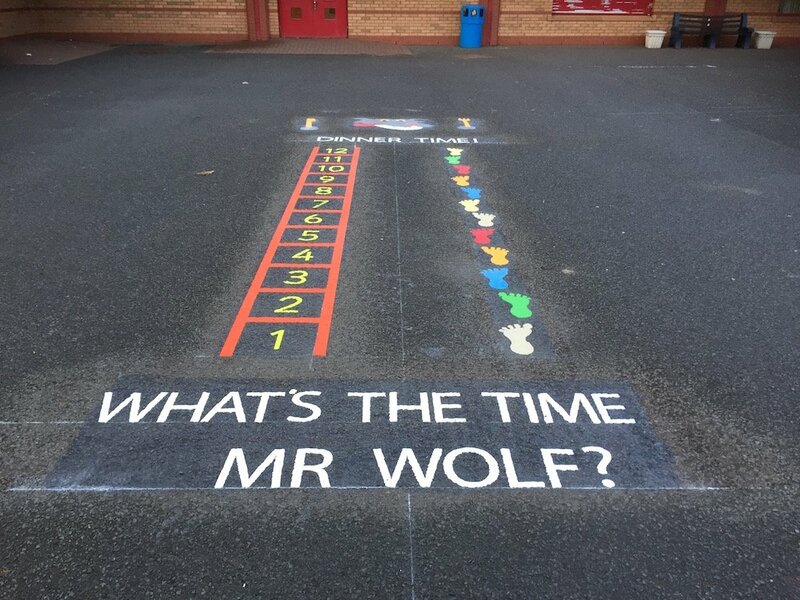 They then continue to the end, still hopping, turn around and try to throw the marker to the next number starting at 2 and continue the sequence again. 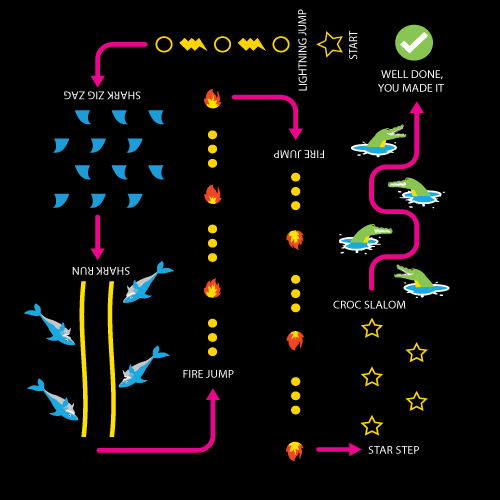 The aim of the game is to complete the full set of sequences from 1 to 10. 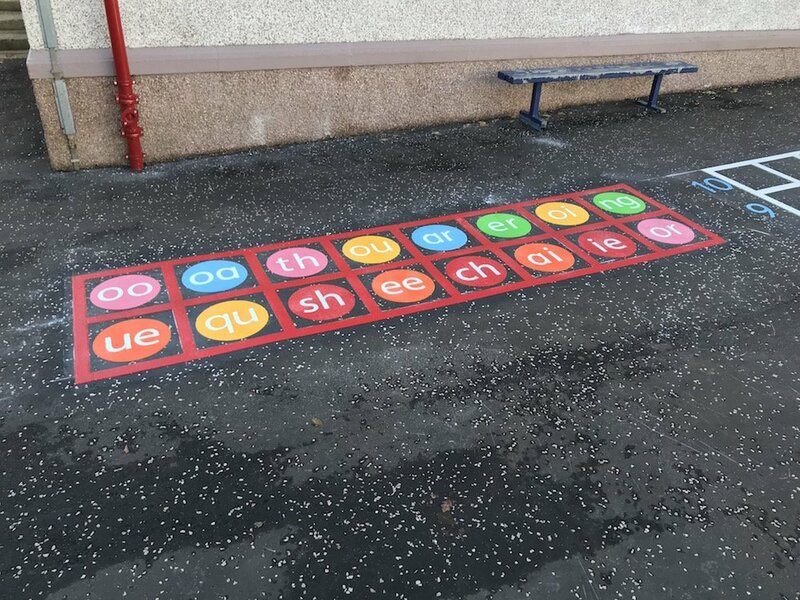 If the child falls, looses balance and touches the lines, the game is over. 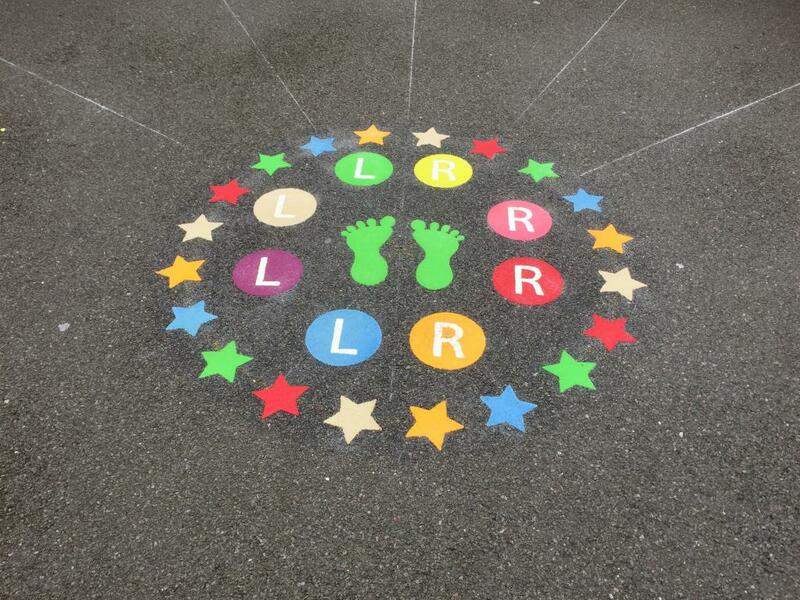 Hopscotch is a game which promotes number sequencing and counting, fundamental movement skills such as coordination and balance. 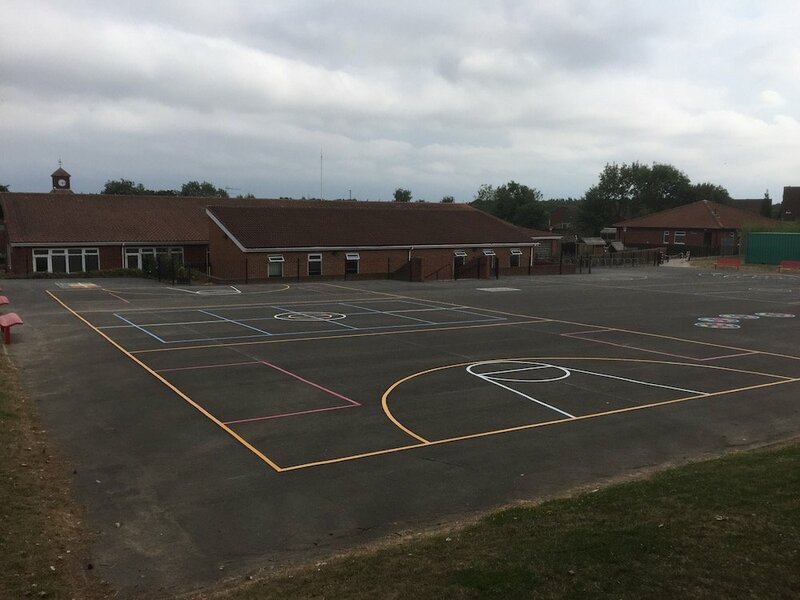 Muscle strength and agility is developed with the use of single leg hopping as well as the positive social and emotional benefits of playing games which promote healthy competition and goal making within the playground environment. 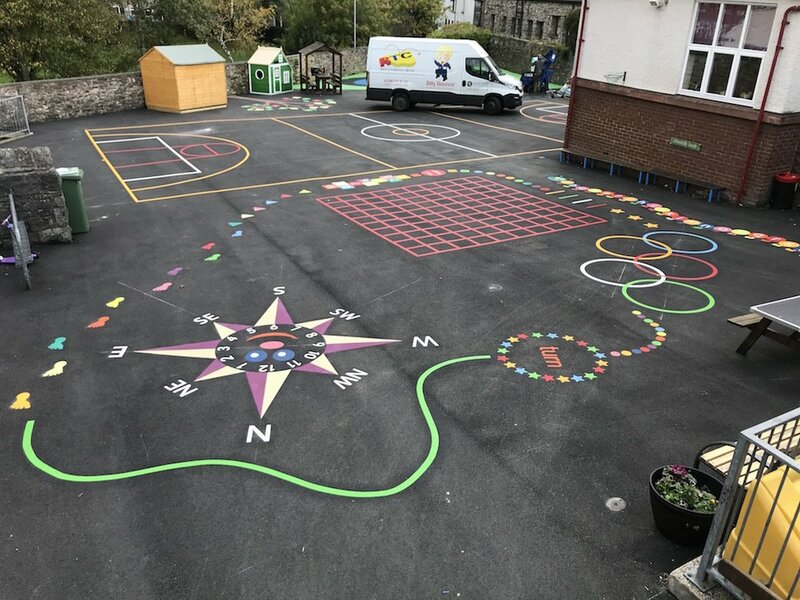 first4playgrounds have creative designs which can stimulate the children’s imagination including Rocket Hopscotch, Sunflower Hopscotch, 1-10 Dinosaurs, Leaf Hopscotch designs as well as the traditional hopscotch game in two sizes, 300mm squares for Key Stage 1 children and 400mm squares for Key Stage 2 children.